Celebrating the life of Robert F. Messaros Sr.
Obituary for Robert F. Messaros Sr.
Robert (Bob) F. Messaros Sr., 86, of Bowling Green, Ohio (formerly Elyria, Ohio) went to be with the Lord after a long courageous battle with cancer on Sunday, October 21, 2018 at Hospice of Northwest Ohio. Until the very end, Bob kept his sense of humor and love for storytelling. Bob was born on September 1, 1932 to Albert and Maria (Mary) (Kota) Messaros. He was the youngest of 7 children. Bob married Mary Ann Gabrie on July 4th, 1953 at St. Ladislaus Catholic Church in Lorain, Ohio. Surviving are his wife of 65 years, Mary Ann; son, Robert Jr. (Christine) Messaros; son, Michael (Sheri) Messaros; son, Andrew (Susan) Meszaros; and Nancy (Erick) Horn. Bob’s grandchildren are Mary Ann, Matthew, Amy, Sarah, Rachel, Hannah, Maria, Noah, Dominic, Andrew and Maggie. Great-grandchildren include Cortlin, Samantha, Jocelyn, Laszlo and Elsa. Also surviving Bob are many nieces and nephews. The son of immigrants, Bob was proud of his Hungarian heritage. Growing up in a Hungarian community on the West Side of Elyria, Bob had many experiences that built his character. He began working at an early age. Bob’s life experiences provided some of the most colorful stories that he ever told. Some of Bob’s job experiences included: shoe shiner, chicken cleaner, circus helper, furnace/ash hauler, caddy, construction worker, truck driver, crane operator, milkman, mailman, short order cook, waiter, jet engine tester, store clerk, soda jerk and Elyria Dairies employee. A high school and college athlete himself, Bob graduated from Elyria High School in 1950. At Miami University, Bob played football and graduated college in 1955 with a Bachelor’s of Education. Bob’s collegiate years as a Miami Redskin fostered his long-lasting love of football. During his time as a Redskin, Bob played for members of the well-known Miami Cradle of Coaches. Upon graduating from college, Bob was employed as a high school biology teacher and coached football, golf and track. He held these positions at Marion Harding High School and Elyria High School. 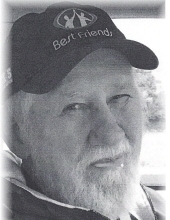 Bob then transitioned to the business field and worked for Allstate Insurance Company as agent for 41 years. He retired in 2000. Bob also served as a councilman for the City of Elyria from 1968-1972. Bob was very active in his hometown church, St. Agnes Catholic Parish in Elyria, Ohio. He served on many volunteer committees and coordinated various ministries. Faith was very important to Bob and when he would see a need, he would fill a need. Family and friends may visit on Wednesday, October 24th from 3:00 to 7:00 p.m. at Dunn Funeral Home, located in the Historical District of Bowling Green at 408 W. Wooster Street. A Rosary service will be held Wednesday evening at 7pm at the funeral home. A Mass of Christian Burial will be celebrated on Thursday, October 25th at 11:00 a.m. at St. Aloysius Catholic Church, 150 S. Enterprise St. Bowling Green, Ohio 43402. Father Mark Davis will officiate. Interment will follow in Oak Grove Cemetery. Family and friends are invited afterwards to a luncheon at St. Aloysius Catholic Church. As a final request, Bob asks that six Cleveland Browns coaches volunteer to serve as pallbearers, and let him down one last time. The family would like to thank all the doctors and healthcare professionals that assisted Bob during his illness. A special thank you to the nurses and staff at Hospice of Northwest Ohio Perrysburg, for all their loving care. Memorial donations, in lieu of flowers, may be made to St. Agnes Catholic Church in Elyria, Ohio or Hospice of Northwest Ohio. Condolences may be shared with the family at www.dunnfuneralhome.com. To send flowers or a remembrance gift to the family of Robert F. Messaros Sr., please visit our Tribute Store. "Email Address" would like to share the life celebration of Robert F. Messaros Sr.. Click on the "link" to go to share a favorite memory or leave a condolence message for the family.